Reducing Food Waste at Work and School – Part 1: The New Frontier in Recycling? 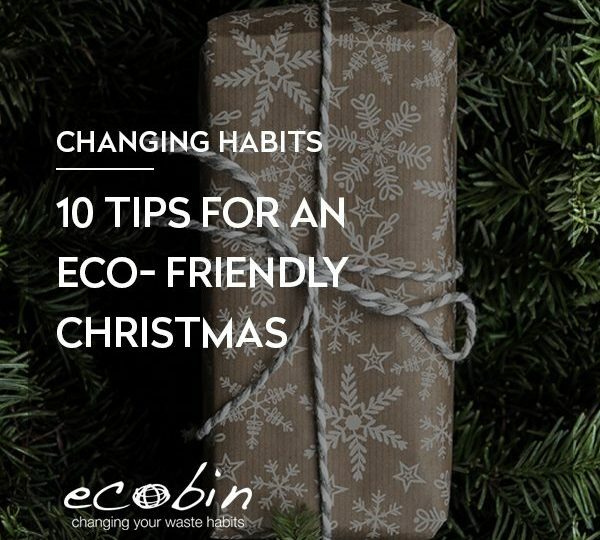 EcoBin > Food Waste and Composting > Reducing Food Waste at Work and School – Part 1: The New Frontier in Recycling? Moves to combat the world’s colossal food waste problem now appear to be gathering pace. 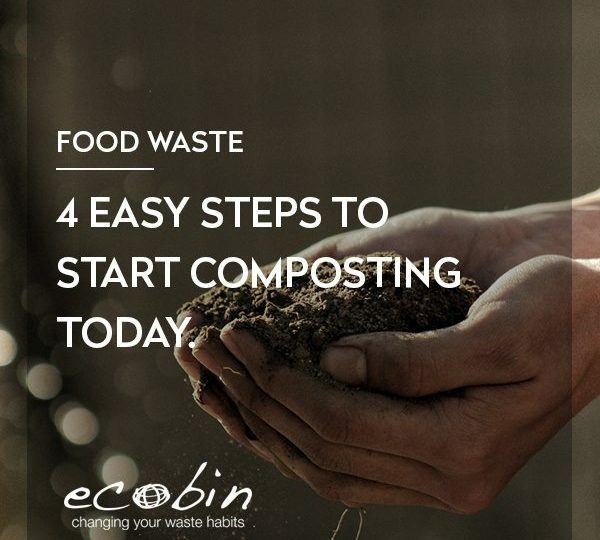 Here at EcoBin, we believe that schools and workplaces will soon be working as hard to reduce food waste as they do to divert other materials from landfill to recycling. In this the first of a two part series on reducing food waste at work at school we look at some important recent developments, some mind blowing statistics and some of the challenges involved around food waste. It’s hard not to notice the growing number of food waste related stories we’ve been seeing in the media of late. In January, onlookers from around the world applauded as a French law came into force, compelling supermarkets to donate unsold food to those in need, for animal fodder or composting. In the wake of the Davos Economic Forum 2016, we also heard that Unilever, Nestle, UK supermarket Tesco and the Rockefeller Foundation have joined a group committed to delivering on UN Sustainable Development Goal Number 12.3 – to halve food waste by 2030. There’s been a flurry activity aimed at eliminating food waste among regional and local governments, too. 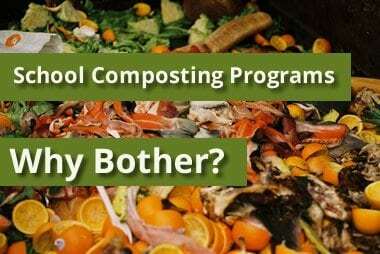 For example here in Australia, Sustainability Victoria and EPA NSW have both recently introduced grant schemes to promote on site food waste composting. The aim here is to reducing the amount of food waste going to landfill. The scale on which we humans waste food is tragic and staggering. Around one third of all food produced on this earth goes to waste. More than enough to feed the 800 million people on the planet who don’t have enough to eat. Enough, in fact, to feed them two and a half times over. According to a UN Report, global greenhouse gas emissions from producing and transporting food we ultimately waste, amounts to 3.3 billion tonnes. That’s about the same as the annual combined emissions of all 28 member countries of the European Union. According to the same report, water consumed in producing that same wasted food amounts to the annual flow of the Volga, Europe’s greatest river. 25% of the USA’s entire freshwater supply goes into growing food that is ultimately wasted. Here in Australia, the figures are on a par with the rest of the developed world. In monetary terms we throw away around 3 million tonnes, worth $10 billion per year. Recently, the City of Stonnington, a fairly typical Australian suburb in Melbourne, estimated that 50% of the average household garbage bin comprises food waste! How do we manage to waste so much food? Waste takes place at every stage the food’s journey to our plates and beyond. Of food grown in developing countries, fluctuating market demand and logistical constraints prevent a large portion of it ever leaving the farm. Inadequate transport and storage facilities are major factors here. In developed countries, supermarkets and consumers bear responsibility for the bulk of our food waste thanks to common practices of overstocking, over-buying and over-serving. Restaurants and cafes also throw vast quantities of food away at the close of business each day. Some goes to waste because no one bought it, some because of over-sized portions. Rigid grading policies of retailers and food processors. These policies reject fruits and vegetables for being the wrong size, shape, for having blemishes, or improper packaging and labelling. Fishing quotas which lead fishing vessels to discard fish that can’t be sold at a best price or which exceed quotas. Varying crop sizes and unpredictable market demand, which can often result in unsaleable surpluses. Misleading, overly pessimistic expiry dates on food packaging. Resources squandered on unnecessary food production are just part of the story. Greenhouse gas emissions continue on beyond the point that we throw food away. Most food waste goes to landfill, where it produces vast quantities of greenhouse gas, methane. We often hear that methane is 21-25 times more potent as a greenhouse gas than Carbon Dioxide, but this statistic glosses over a grimmer reality when it comes to the battle against climate change. In fact, within the first 20 years of emission, methane is around 72 times more potent than carbon dioxide. The 20-25 times figure we tend to hear relates to methane’s effect over an extended 100 year period. Observers on efforts to curb climate change agree that our actions over the next 20 years are critical. 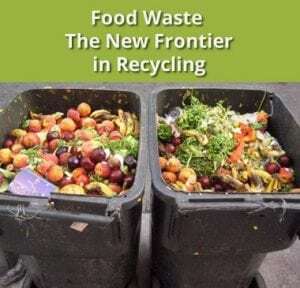 Food waste is the primary cause of methane emissions from landfill sites, where volumes are often enough on their own to fuel bio-gas driven power stations that provide electricity to thousands of homes year round. Incidentally, converting bio-gas to electricity is not, as some may claim, a sustainable solution. When burned, it turns to carbon dioxide – just like fossil fuels. Eliminating food waste will require coordinated actions across the entire distribution chain and beyond. One important thing that needs to change is consumer preference for perfect looking fruit and vegetables. Retailers have long understood that shoppers are drawn to perfect specimens. They’ve responded by turning their displays into fruit and veg beauty pageants. In this respect, the new French supermarket law has placed responsibility with the retailer to change things. Whether the law can move the needle on food waste remains to be seen though. It may simply result in more cautious selection policies and more food going to waste before it ever reaches the supermarket shelves. More effective storage and packaging that extends shelf life is another possibility, but more packaging could create more waste of another kind. In developing countries, more refrigeration capacity, better roads and transport would help. But here too, the environmental cost of upgrading facilities may outweigh the benefits. Clearly, we need better technology and infrastructure to divert unwanted food to organisations and individuals that can use it. Here in Australia, Woolworths the supermarket chain, has publicly committed to eliminate food waste from landfill and is working with the charity OzHarvest to divert unsold food to the needy. There are also a few apps available to help reduce food waste. For example, Love Your Leftovers produced by the NSW government helps consumers find ways to use leftover food. Yume is another app that helps food vendors sell unwanted food at deep discounts, or donate it to those in need. The US Department of Agriculture has also produced a very useful app called FoodKeeper, which provides detailed guidelines for storing foods and spoilage time lines for different storage conditions and methods. Given the level of interest from governments, environmental agencies and major corporations it certainly does seem that the time for tackling the food waste pandemic has come. In our next article we’ll take a look at the steps we can take as individuals, businesses and schools to prevent food waste and keep it out of landfill. 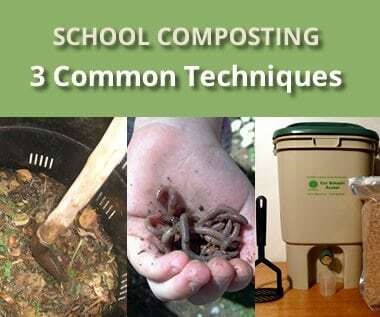 Setting up a school composting program: Part 1 – why bother?